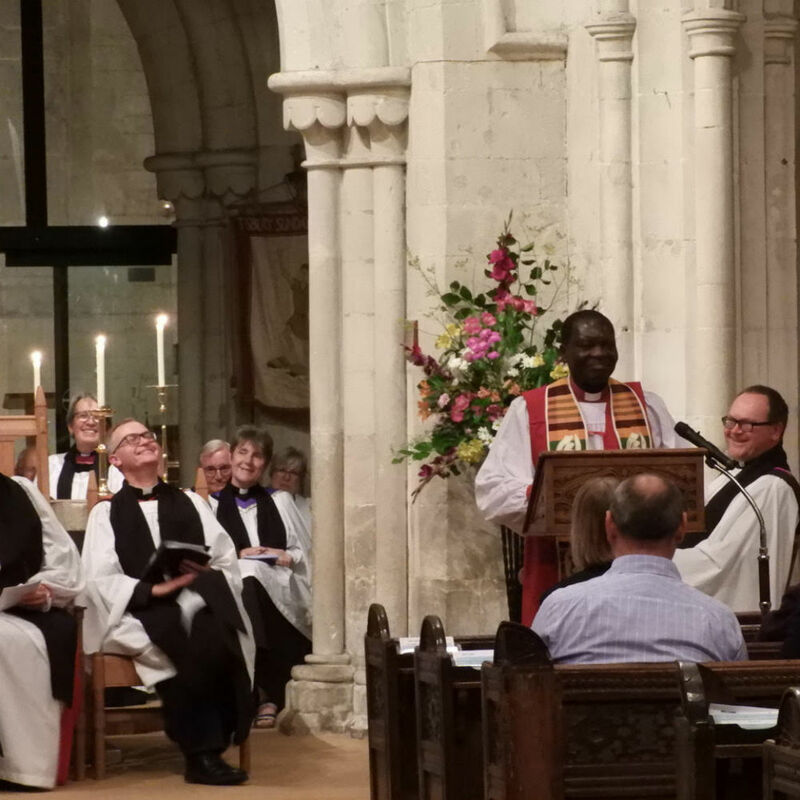 Our Team Vicar is the Revd Juliette Hulme. 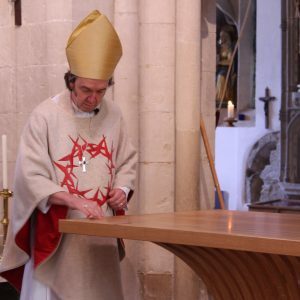 She also serves the neighbouring parishes of Tisbury, Fonthill Bishop & Fonthill Gifford. 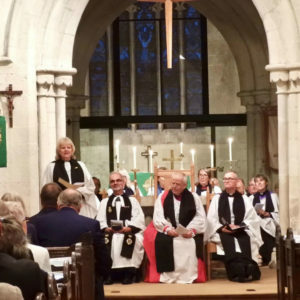 Juliette was licensed and installed in a special service in St John’s in September 2018. 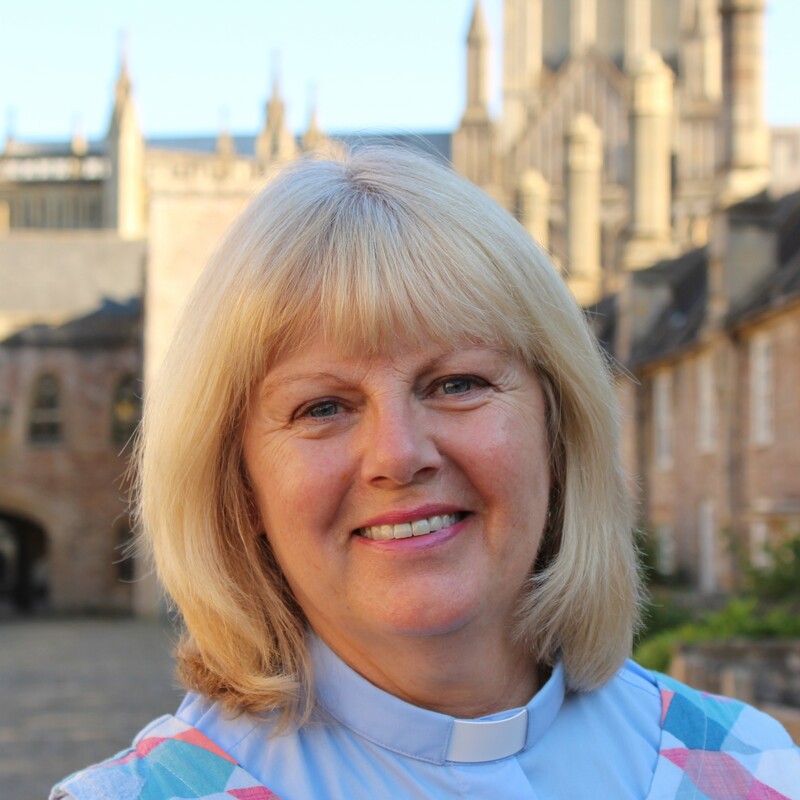 Previously, Juliette was Chaplain at Wells Cathedral School; a post she held for twelve years. 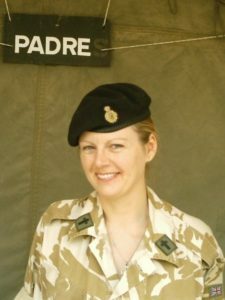 She originally trained as a teacher specialising in drama and subsequently taught English to undergraduates in Indonesia as a VSO, and Drama at Beaminster Comprehensive School, Dorset. In a career break in 1990 when she lived on Iona in the Inner Hebrides & worked at the Iona Community, she sensed God’s call to ordained ministry. Juliette trained for the ministry in Durham and was ordained a priest in 1995, serving her curacy in Crayford, Kent. 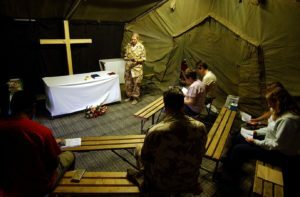 This was followed by an Assistant Priest post in Leatherhead, Surrey. 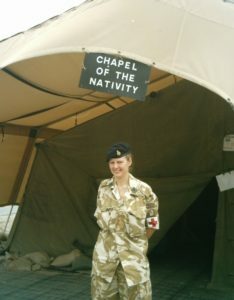 Juliette then had a clear call to Army Chaplaincy and served with the Royal Corps of Signals in Germany and with the Royal Army Medical Corps as a Field Hospital Chaplain in Iraq leaving the army in 2005. 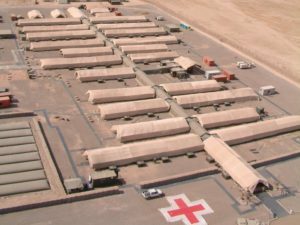 These pictures were taken in Iraq show the Field Hospital and Juliette in the Chapel. 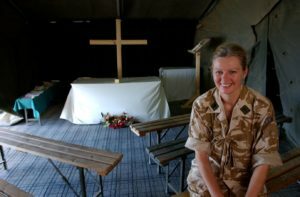 Juliette loves the countryside & coast, travelling, gardening, the Arts, photography & cats – she has two of them.